Another year, another batch of graduates looking for full-time employment and the STRUGGLE may become REALITY! Ever run into that trap and thought, why am I applying for a bunch of jobs but not getting any interview calls? Well, if you still have no job after college – here’s the ultimate guide to career paths that can lead you to SUCCESS – no puns intended, just honest advice! Why not jump-start your career with the chance to become the next BIG celebrity by entering a beauty pageant i.e. Miss Hong Kong or Mr Hong Kong? You can big bucks of money if you get lucky! A few tips to win includes an Oxbridge degree like 2015 Miss Hong Kong winner Louisa Mak, modelling experience, successful career or some kind of hidden talent. Most importantly, possessing top-notch charisma skills and figure will make the judges absolutely adore you! And you never know – you might just be LOVED by the public! So many graduates end up here because of lost career paths! Check out fellow Jobable writer Ruby‘s article on How to Win Miss Hong Kong for more inside tips! Worried about being alone, starving and suffering to provide for yourself? Then it’s time for you to find a RICH boyfriend or girlfriend so that your beloved one will look after you for LIFE! If you are looking for some tips to pick one up then check out Ruby‘s article on How To Find A Rich Boyfriend in Hong Kong! Plus, there is always TINDER! Why not take on 3-time Olympic swimmer and flag bearer Stephanie Au? She became an internet sensation when people started asking who is that PRETTY ATHLETE holding the Hong Kong flag? You could become the next world fever when everyone starts to worship and fall in love with your beautiful yet adorable facial expressions! 4. Take up cooking and put Gordon Ramsay on his toes! Foodie or not, we all love a good meal don’t we? Well, why not test out the waters and tell Gordon Ramsay to get back to his station! Even Jamie Oliver hasn’t been brave enough to challenge that. If you think you have Michelin Star material taste buds, then go for it. Even a high tier university graduate in Hong Kong became a CHEF after graduation! So take up the challenge on the wok and face up Ramsay like Kenneth – even if you UNDERCOOK that chicken! Remember to keep a straight troll face and WARN Ramsay before he starts screaming MAD! 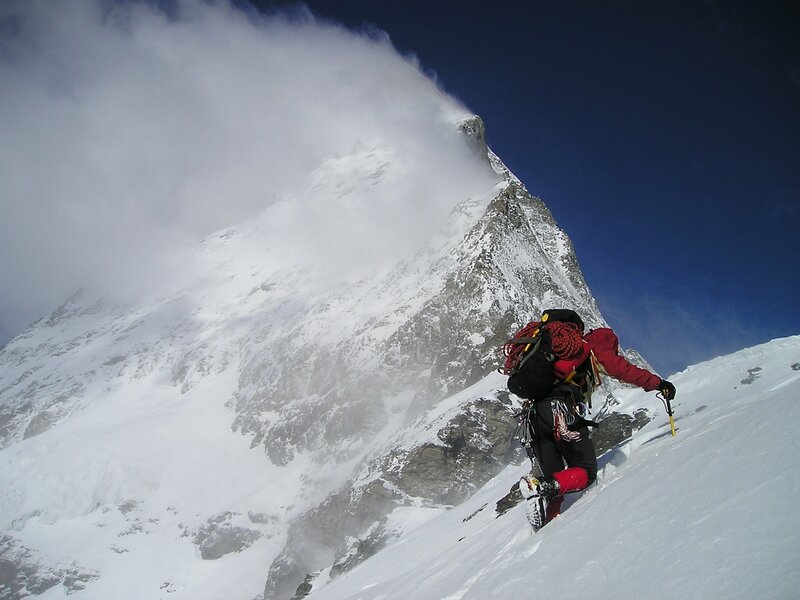 Conquering Everest is still no easy feat for human mankind and to date – 292 climbers have died from attempting this deadly mountain. The latest toll came at renowned Swiss “machine” climber Ueli Streck – going to show that as much expertise as one may be equipped with, this is indeed one MONSTROUS mountain! Former secondary school teacher Ada Tsang made headlines this year for being the FIRST Hong Kong woman to succeed on her third try – following two failed attempts! Perseverance is key to INSPIRING others and to make that DREAM a reality! And you never know, you might become the next HERO! 6. Get writing and become the next J.K. Rowling! At the breaking point, mid-life crisis of your life, down in the dumps and unsure of how to pick yourself back up? We have all been there so you are not alone – depression hits us all hard. If that’s the case, why not pick up your pen and take the train down from Hung Hom to Lo Wo like J.K Rowling! As poor as she was at the time, her inspiration and imagination came during a ride from the now touristic platform 9¾ in King’s Cross to Manchester! Those characters and words might just POP UP in front of you unexpectedly! Also, think of an awesome PEN NAME or pseudonym – cause that’s how J.K did it! 7. Train for a Marathon and run like Usain Bolt! Usain Bolt makes it look easy with his 3x100m Olympic gold medal feat but ever tried running till your breath chokes and your feet are sore? Well, you still got half a year to gear up for that chance – so subscribe to this newsletter before it’s too late! If you need a source of inspiration, simply look at Christy Yiu who quit being a full-time nurse to pursue running professionally at the age of 26. She made her dream come true to go down in history as an OLYMPIC athlete. A sports career is often deterred by parents but you never know, you could be a late bloomer elite athlete like Korean Actress Lee Si-young! She only found out she was gifted in boxing in her late 20s and even tried out for the Olympics last year! Get into those algorithms and you could be as famous as Steve Jobs! He quit college to do what he did! The amount of buzz the very first iPhone and Macbook Air generated are clearly exemplary of how overrated a college degree is! If Jobs isn’t enough, then look at Facebook CEO Mark Zuckerberg for more inspiration – he quitted Harvard and made a successful career from the booming social media going around at the time. And more recently, mere kid Yuma Soeiranto was praised by Tim Cook on his coding skills at the age of 10 – notably owing to his YOUTUBE CHANNEL and his 6 INSANE GAMING APPS! Age really is just a number! We all just can’t resist spending hours swipping through YouTube for hours when we simply have nothing to do! Well, why not turn those hours instead to become a YouTuber yourself! Your can earn millions of dollars if you can crack the formula yourself. But WARNING: be prepared to become sleep deprived from tons of video editing – making your brain go BONKERS by the end. But the rewards from it all will be endless from free sample products, sponsorships to being BETA Testers to new and upcoming gadgets! Bubz aka. Lindy Tsang, a renowned beauty YouTuber started her channel during an economic downfall and as night fell, she became loved by millions of fans! You could too! 10. Find a Job at Jobable! Of course when all options run out, you can always try and find a job at Jobable. Our personalised job hunting should get you there in no time! No matter how lost or depressed you are, we are here to help! So don’t worry if you have no job after college, Jobable is here to stay for good! Recent graduate, wanderluster, foodie and health enthusiast with an avid passion for writing! She can be contacted at denise.chan@jobable.com.